Whenever you start quoting latin, you know you’re quoting some old OLD verbiage. 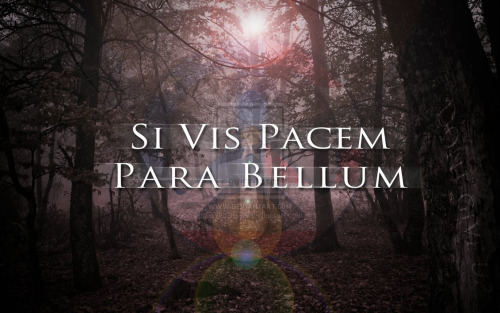 This statement in fact is found in Book 3 of Latin author Publius Flavius Vegetius Renatus tract De Re Militari, although similiarly found in earlier works such as Platos Nomoi. By now you are either totally confused as to where this is going, or you know at least a little latin and have a pretty good idea. Yea. That’s what the subject here means if you’ve not figured it out yet. If you want peace, prepare for war. What this stresses to me is the concept of either peace or war was long before we had anything to do with it so must not be as simple as ‘well just stop it!’ If it were that easy to “just stop it” then they would have stopped fighting in the Middle East what, 3150 BC when the political unification of Upper and Lower Egypt happened under the first pharaoh, Mesopotamia. You can dig through that site and see the history from least this starting point but again, my point is simply this. Since the dawn of time there has been fighting in the middle east. It’s been going on all of my own life in some form or another and the constant changing of the names, ownership of lands and the like has done nothing to stop it. At this point you have to ask yourself if it will ever stop. My money is on “no” and then you must ask yourself, if you said “no”, how long do you invest time, people, money and lives into a failed effort? This isn’t just from a US perspective and building up a reason to pull out and leave it to them. Unfortunately it’s not that simple either because even in the crusades when the Christians joined in the killing for God routine, they still went to the middle east to fight. While this is also debatable, it’s hardly questionable that the focus was in fact Jerusalem. Zip ahead to 2015 AD with me. Pretty easy, it is just today. But today look around and it’s hardly debatable that the focus of fighting is still focused in this area and while the rest of the world is certainly not guilty of conflicts of their own, they pale in comparison to the history of violence in the middle east. Back to the “debatable” focus on where the crusades were fought…the pluralists considered the reach of the crusades fighting to be the location of the war, regardless of where it was and in that light, as you saw from the previous link, the fighting was not only in Syria, Palestine and Egypt, but Spain. The Baltic regions (Latvia and Prussia) Italy, Sicily and southern France. And prepare they have. I won’t go into the recent terrorist activity from days ago as the world knows about that at this time. It’s the events that will unfold from this that make us all stop and wonder what the hell do we do next. I’d like to think it would be to put away petty differences and not politicize the deaths and tragic events but politicians never let a good opportunity go to waste and they won’t here either. But what will they do? The United States under Obama seems intent on following the path of assisting those fighting from a distance and throw money and airdrop supplies. We are also working to bring in Syrian refugees by the 10s of thousands. But we won’t fight. It could be argued we were late getting into WWII and it took Pearl Harbor to make that happen. We waited until we were attacked on our own soil before we recognized the threat coming. 911 was it’s own act of war against the United Stated and to a man, country and leader the support for the United States after that was second to none. They stood with us and when we said it’s time to do *something* we did. The US and our allies. Today we stand strong in our defiance of action and count the cost of war as something to avoid and be ashamed of. Maybe it is. But the cost of indifference and apathy towards a war that is in fact coming to us, what will that cost? Can we continue to be a country of entitlements and free things for all when on our doorstep terrorism awaits? Is whether or not a baker will make a “gay-cake” so important that we must spend our time and emotional energy on this vs. looking at the real dangers we face? This isn’t to take away from the rights of anyone but to look after the rights of the whole. The rights of the whole. You see, to me these outweigh the singular rights everyone is fighting for. The average person isn’t likely to get all they want in life. They’re likely to be offended countless times in their life and the choices we make as such “offenses” tell others who we are. Do we whine, stomp our foot and demand the world changes for a singular sensibility? Or do we stop, take a breath, and spend that same amount of energy looking for something to be positive about? Now, do we continue to spend our time arguing about the petty things in life that while they do have meaning pale completely in comparison to events like 911 where the United States did in fact come together to do what needed to be done. While we quickly reverted to our singular ways we did show that “we the people” are still capable of of doing what must be done. Today, what must be done is no more words. No more hollow promises and empty support for France. No more turning our back to ISIS and the threat of terrorism and refusing to take it head on. Hillary Clinton in the last debate said that “We will support those who take the fight to ISIS,” Clinton said, adding that was why the U.S. has troops remaining in Iraq and special operations forces in Syria. “This cannot be an American fight, although American leadership is indispensable.” (quote) and her follow up remarks indicated she would carry the same line of “support those fighting but do not fight”. Mrs Clinton, that time and choice is long gone. If we do not stand with France with more than rhetoric and political promises we have failed as a country of compassion and understanding. We have failed on “shared responsibility” of rights *we all do in fact enjoy*. We have failed as a leader of this world. Today France is fighting, with or without us. You can see the headlines on sites of choice but sites around the world are showing France in a fight not that they went looking for, but that they are not running from. For all the jokes that they endure of their past military exploits, ask yourself who is fighting now? If you still believe this war will not come to us, ask yourself how many in the recent Eagles of Death Metal concert thought the same thing. Sometimes it takes a direct hit to get involved. Are we to wait for another 9/11 on our own soil before we take this seriously, or will we, the United States, do more than change our colors on facebook for a few days to “stand with” someone? The choice is over and it’s time to make #standswithfrance something more than a social media moment.